West Bengal (WB) HS Result: The West Bengal Council of Higher Secondary Education (WBCHSE) conducted WB Higher Secondary examination from 27 March to 11 April 2018. 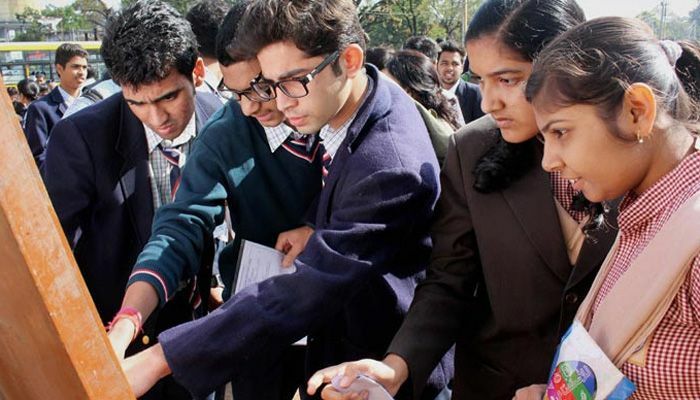 A total number of 8,26,029 students appeared for class 12th board examination this year. As per the latest update, The West Bengal (WB) Class 12th exam result will be declared on June 08, 2018. Meanwhile, WBBSE Board is planning to release the WB Madhyamik (10th) Results 2018 on June 06. Students can check their WB HS 12th Results 2018 on the board’s official websites — www.wbresults.nic.in. Check out the complete details of West Bengal (WB) 2018 12th Class (HS) Results with Name Wise, Roll Number Wise, School Wise, District Wise, Mark List, Toppers with Photos, Supplementary Exam Dates and more from details the below article. The results will be announced in a press conference held at Rabindra Milan Mancha. The results would be announced at 10:00 am after which it will be made available on the official results website for the students. The West Bengal 12th Results will appear on the screen. Note: The www.wbresults.nic.in website might slow down or experience some technical glitch, due to heavy traffic once the results are declared. Candidates are advised to have patience and try again later. The aspirants can search the school wise result of WBCHSE HS Result by using the school codes. The officials also declare the WB Board 12th Class 2018 Results with School Wise, Name Wise, Roll Number Wise, District Wise, Branch Wise. Type WB12<space> Roll number and send it to 54242 or 58888 or 5676750 or 56263. Hope you like this, West Bengal Board Uccha Madhyamik (HS) Results 2018 Name Wise, School Wise, Roll No Wise, Stream Wise, WBCHSE 12th Results Marksheet Download, Online Checking websites article. If you have any doubts, then feel free to ask via comment box.